MACDILL AFB – The F-35B Lightning II aircraft arrived at U.S. Central Command on MacDill Air Force Base, Fla., April 4, 2018. 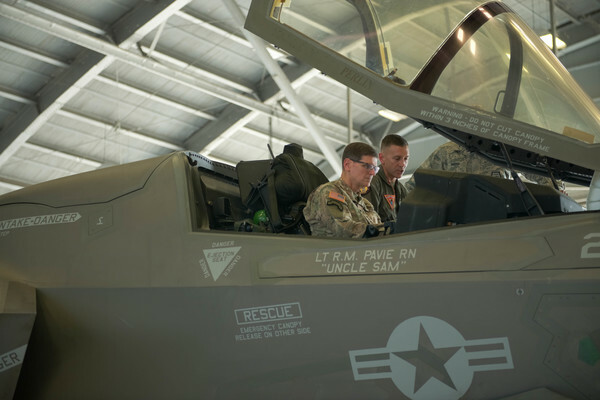 The purpose of the two-day visit was to inform CENTCOM senior leadership on the capabilities and limitations of the F-35B platform before it enters the CENTCOM area of responsibility. “What we want to do is make sure this jet helps out the entire MAGTF, specific for MAGTF operations, obviously the Marine rifleman but everybody we’re supporting on the ground,” said Vaughn.